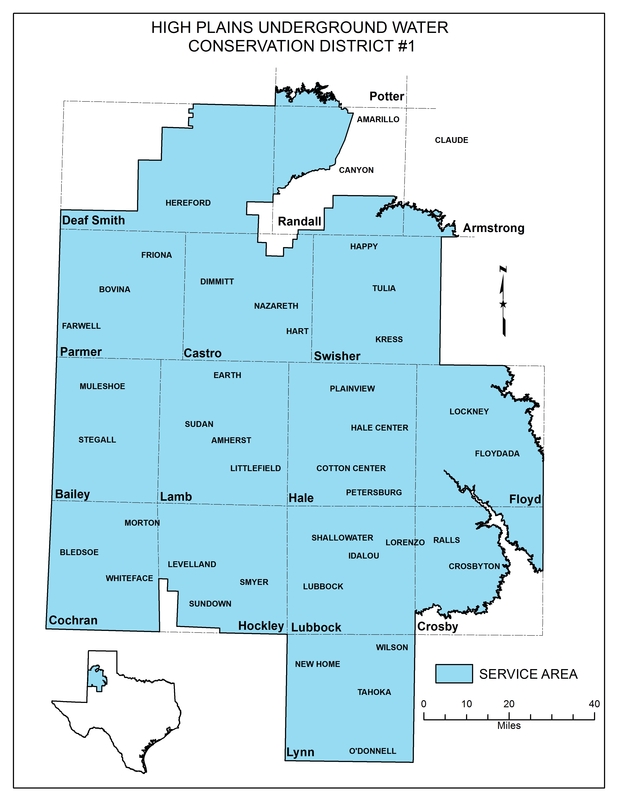 The High Plains Underground Water Conservation District (HPWD) was founded in 1951. With a mission to protect, conserve and preserve aquifers in the 16 county service area, HPWD strives to educate residents and communicate groundwater issues to the general public. Our primary job is to permit wells exceeding 17.5 gallons per minute (gpm). Landowners or operators wishing to drill a well exceeding 17.5 gpm must apply for a permit from HPWD. We are a taxing-entity. Our current tax rate is $0.008026 per $100 valuation or $8.03 per $100,000 valuation.